A few photos taken around the Geraldton area during 2003, we are experimenting with a few larger format photos as well. What do you think? 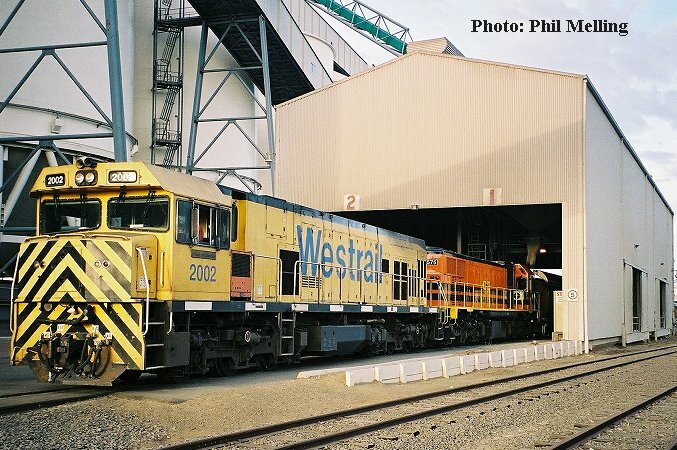 P2002/DA1575 load grain at Geraldton Port on 27 March 2003. P2002 was soon to lose its Westrail branding. 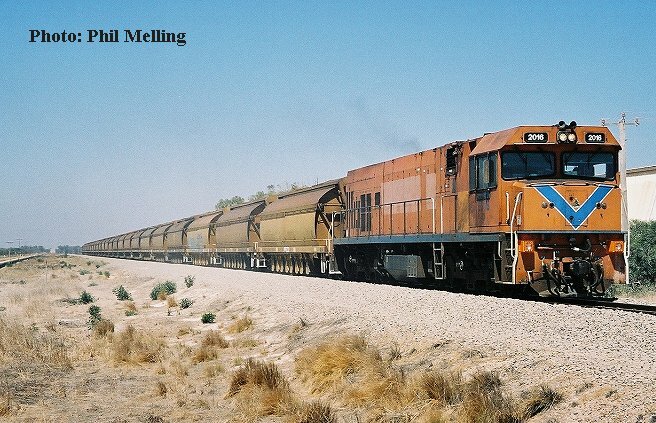 P2016 hauls a loaded coal train towards Narngulu on 15 March 2003 past Bootenal. Back on the train it has hauled many times P2017 "City of Geraldton" rests at Narngulu on 3 March 2003. 2017 by this time had lost its Westrail name and looks rather plain in the uniform orange of former operator Westrail. 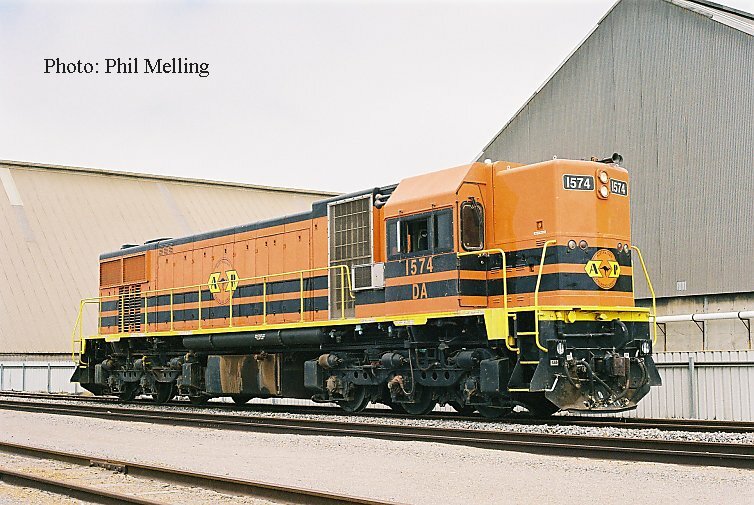 Of interest the loco is still carrying former owner AMC's initials on its short nose sides. 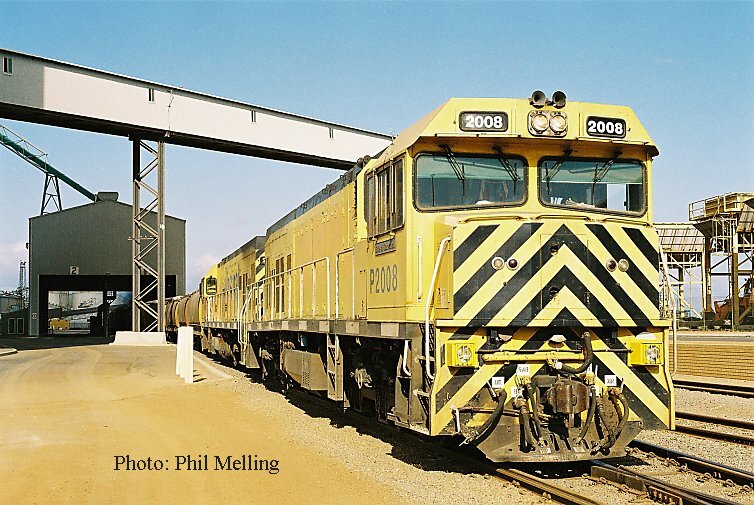 P2008/P2002 at the CBH facility at Geraldton Port on 12 February 2003. The grain train is being loaded rather than unloaded at Geraldton. 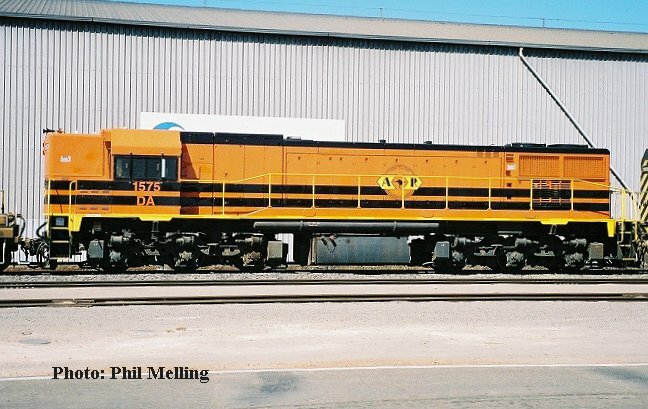 Two views of Australian Railroad Group DA Class liveried locos, above DA1575 at Geraldton Port on 25 March 2003. Below DA1574. 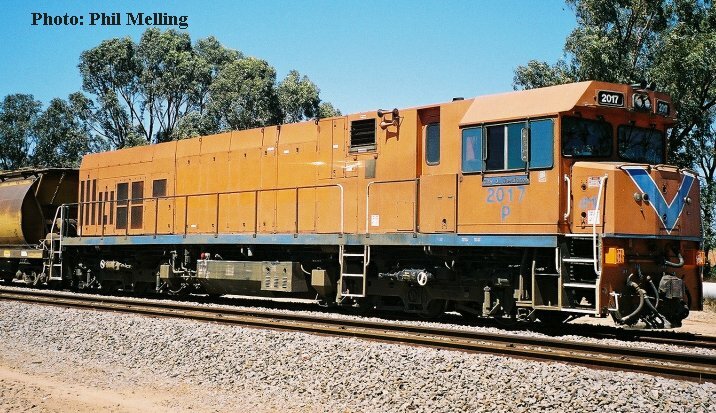 DA1574 in its Australian Railroad Group colours runs round a grain train at Geraldton Port on 10 February 2003. Later in the evening P2003/P2008 will haul P2002 and the 48 loaded grain wagons south to Kwinana CBH. 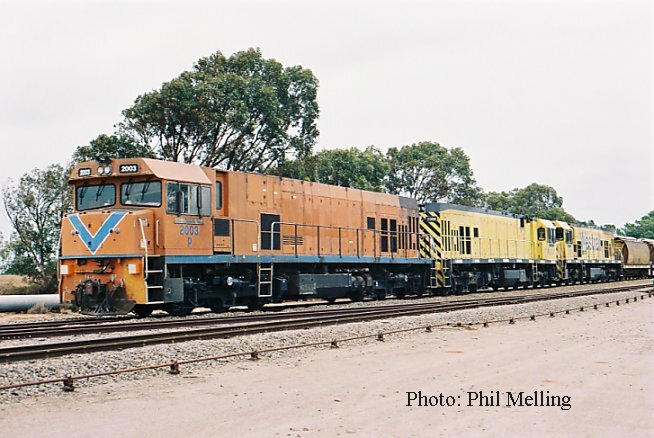 The train had been loaded earlier in the day at Geraldton Port and is seen stabled late in the afternoon at Narngulu on 14 February 2003.